On the 15th day of Storing (November 15th) every year, the world of Neopia and Neopets celebrate their birthday, and this year will be even bigger and better, as it is their 10th Birthday. It has been a whole decade since Neopia was created, and to celebrate, I have put together the top 7 most defining and well known moments and events that have occurred over the past 10 years of Neopets. Avatars were first released on the 11th day of Hiding 2000, with the first avatar (after the default avatars) being the Sloth! avatar. Since this day, over 345 avatars have been released, ranging from tricky game avatars to random avatars to plot avatars. All these avatars lead to a huge part of Neopets, with people trying daily to earn more avatars and trying to reach the coveted position on the NeoBoard Avatars Collector high score list. On 26th day of Eating in 2006, Neopians came across a giant Meepit, with large blinking eyes, warning us that we were ‘Not Prepared.’ Many of us started to think of the different possibilities; maybe some new neopets, could it be a brand new plot or maybe just a late April Fools. However, when we awoke the next day, we found out that we were in fact not prepared, and that Neopets had been given a drastic makeover, a makeover including customization. 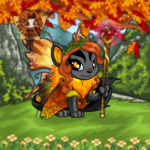 This is something many of us had wanted to do for many years now, and we were finally given the chose to make our pets more unique and dress them up as Edna the Witch or even a Hot Dog Mascot. Although some people were upset at their Neopets being ‘converted’, the majority of users were pleased and this landmark day has never been forgotten. On the 1st day of Relaxing in 2006, in the news there was a little preview of something that was going to be occurring in the next coming days: the Altador Cup. Sixteen teams from the coldest mountain tops in Terror Mountain to the deepest seas in Maraqua, were set to play against each other in order to win the, now desirable, Altador Cup. In the Altador Cup, you play Yooyuball, Make Some Noise, and Slushie Slinger in the hope of gaining your team some more precious points. Krawk Island has followed in the footsteps of Roo Island, Darigan Citadel and Haunted Woods, in becoming the most recent winners of the Altador Cup. Every year the Altador Cup divides Neopia into 16 competitive groups, and let’s hope that there are still plenty more Cups ready to be won. Neopia started to scramble and try and work out what that confusing riddle meant, as it looked like there was just a couple of days left to be able to get the avatar. Luckily, a few hours later some Neopians cracked the puzzle, but it wasn’t until a few more hours later that the solution was made public. Soon after, chaos and rapidly inflation of the book ensued, but many people were pleased that the legendary puzzle that is the Bonju avatar was finally cracked. On the 10th day of Hunting, way back in 2000, another landmark moment occurred: the release of paint brushes! On this day the first paint brush, the Purple Paint Brush, along with other, such as basic coloured paint brushes, the Rainbow Paint Brush and many more were released and available through Random Events. Over the next coming months and years, many more were released such as the Faerie Paint Brush all the way to the newest paint brush, the Zombie Paint Brush. These paint brushes allowed us to allow our Neopets to be more individual and helped us morph our Neopets into a cute little baby Neopets or have a devoted Queen Fyora, faerie Neopet. And ever since the announcement of customization, the possibilities have become endless. Ever since 2001, the world Neopia looks forward to Neopet’s annual April Fools Prank. The original prank consisted of the Neopets team leading us to believe that they were going to have a complete makeover of the pets, and changing the pets to completing newer, and uglier, (in most cases!) pets, such as turning the Kiko and a, ‘kreela,’ a Kiko looking pet with ears and some crazy looking eyes. The varieties of pranks have ranged from the Pant Devil stealing everyone’s items from their inventory and safety deposit box, to the announcement of 50 brand new neopets. Although the latter prank, after a while, it was announced that a select few of these pets would be put up for a vote, and the winning Neopet would be announce at an actual new Neopet. The Lamameeah ended up winning, and a few months later, was released, with a slight change of art, as a Gnorbu. 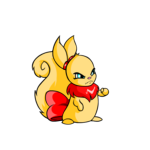 However, looking closely at the 50 neopets, some may appear familiar as many of them have been turned to petpets, such as the Carmariller, Gwalla and Calabat to name a few. Every year, even though some of us are prepared, the prank still gets some of us, and wreaks havoc among the neoboards. Obviously the biggest event of the whole history of Neopets and Neopia is the day it was first launched all the way back on the 15th day of Storing (November 15th), 1999. Since then, Neopia’s population has continued to grow and grow and currently has over 258,000,000 neopets, which are owned by over 175,000,000 owners. Let’s hope for another great ten years for Neopets, and hope there are even more memorable moments and events to come!